Calling it “major milestones for full national coverage,” Assured Performance on Thursday announced it’d reached 2,000 shops with some form of OEM certification. Another 1,500 shops have applied but not yet made the cut, the news release states — another indication of how unprepared some of the industry is for today’s vehicles. Assured Performance itself noted that the 2,000 shops who achieved certification comprised less than 10 percent of the industry. Assured Performance allows collision repairers meeting certain criteria once to join multiple OEMs’ networks of shops recommended to customers. It also offers a separate certification for the 2015 aluminum Ford F-150 (which, if achieved, Ford considers to count for the rest of its fleet). CEO Scott Biggs in July said his goal was to approve at least 2,500 dealership and independent collision repair facilities nationwide, which would offer 98 percent of automotive customers a certified shop no more than 20 minutes away from their home. Not all of Assured’s 2,000 collision repairers are certified for all the options available, and single-line dealerships do not qualify for other brands. Some shops might not want to pay additional marketing fees levied by a particular OEM, and a few others oddly just don’t want a particular OEM certification even though they’re entitled to it, according to Biggs. Ford aluminum F-150 (and the rest of Ford): More than 1,200. Assured Performance also noted that Hyundai’s program only started three months ago and Nissan caps shop participation. A Nissan representative said in July the company plans to have one repair facility for every 10,000 customers. Mainstream OEMs have been directing customers to visit shops certified by companies like Assured Performance, a new development in the “steering” issue. 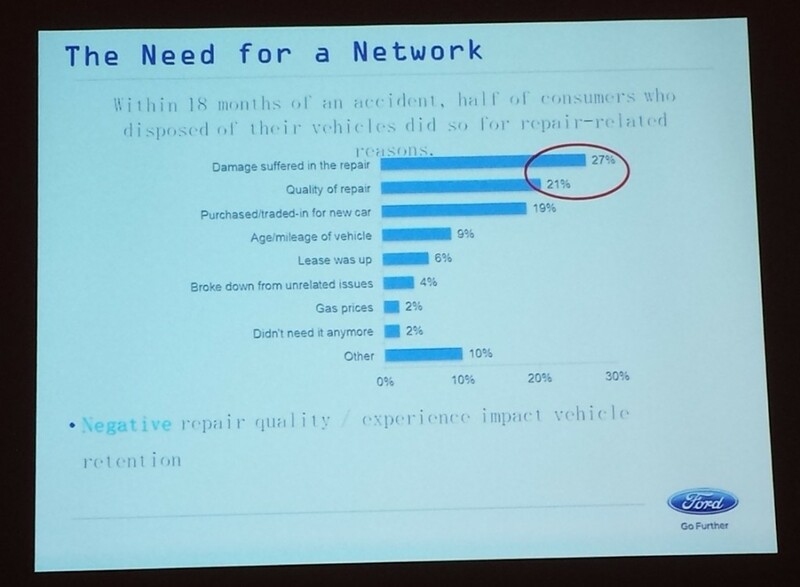 It’s done, they say, to protect brand loyalty: Statistics indicate that a customer who experiences car issues after a repair might jump to a different OEM’s vehicle. Like a DRP’s referrals, this OEM marketing might make certification pay off big for a shop. 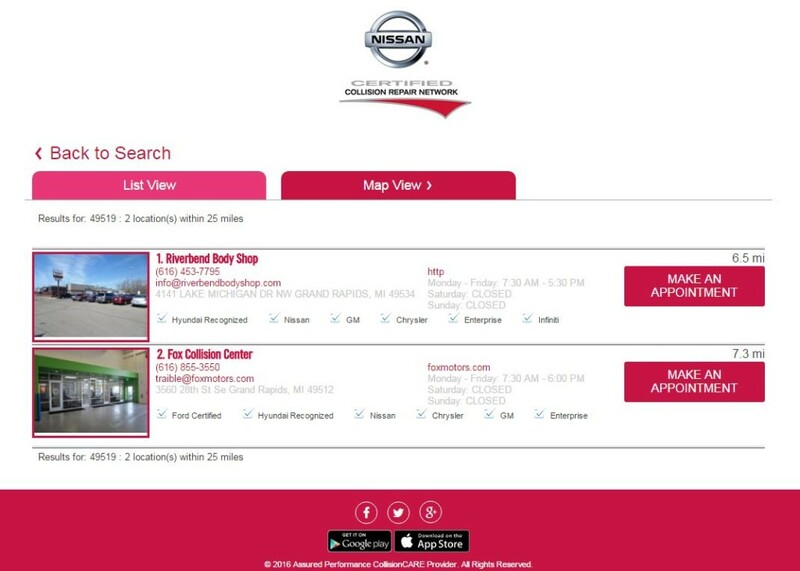 Nissan’s online certified shop locator draws more than 20,000 hits a month, Biggs said. “What’s powering that is us,” he said. Honda, which uses VeriFacts for its program, recently reported similar numbers. Certification also can help a shop obtain rebates from an OEM, according to Biggs. Assured checks that a shop has the proper equipment and training (and audits this yearly). 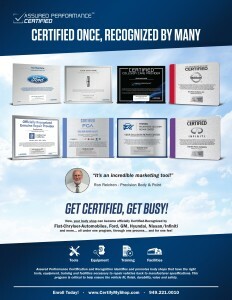 Neither it nor its OEM partners actually “certify” the work. “Even though the Certification criteria includes extensive quality assurance requirements, the Assured Performance Certification is not a quality control program to avoid any implied or explicit warrants of the workmanship of the body shop that may lead to liability exposure to the OEMs and Certifying body,” Assured Performance wrote in its news release. So the fact that 1,500 shops couldn’t even do that much (Assured does offer free improvement assistance, though, Biggs said.) — to say nothing of the shops unaudited by anyone — is a troubling indication of an industrywide problem: Shops aren’t ready for what’s coming — or already on the market. In April 2015, I-CAR CEO John Van Alstyne noted that out of an estimated 35,000 nationwide shops, 17,500 of those in direct repair programs, only 12,000 required continuing education — just 34 percent of the industry. Meanwhile, Van Alystne said, OEMs release about 75 major vehicle changes a year. Nearly 70 percent of technicians had no I-CAR training on basic welding certification, 94 percent lacked an aluminum welding credential and 98 percent lacked certification on advanced structural steel, Van Alstyne said then. Correction: Assured Performance’s business assistance program for shops failing to achieve certification is free, CEO Scott Biggs said. The article has since been changed to reflect this.